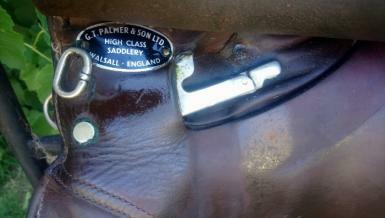 Top quality English made and leather 17" GT Palmer jump saddle. Brown with a medium-wide gullet. 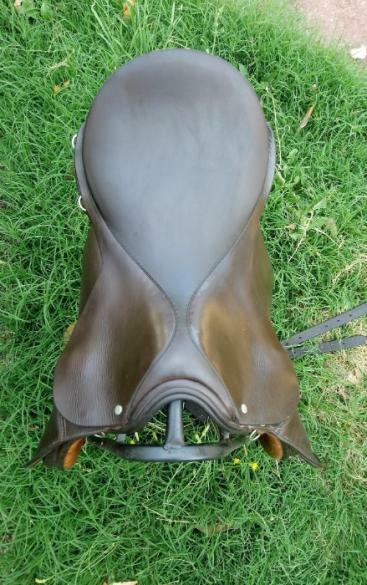 In good condition, beautiful soft leather with calf skin knee rolls. 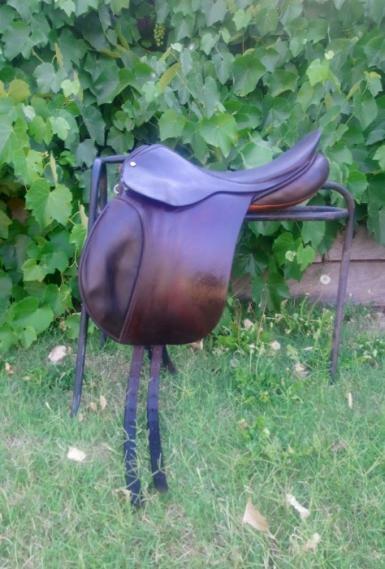 Could do with a flock adjustment. 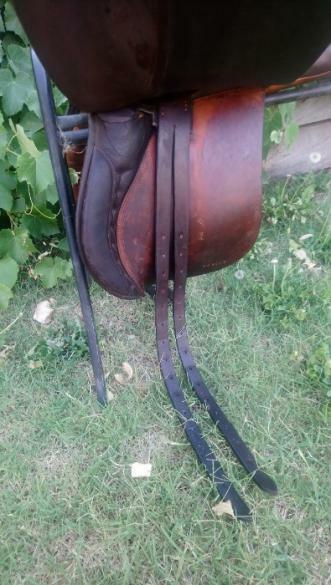 Spring tree for super close contact and some depth to the seat, very similar in style and quality to County jumping saddles. A true classic that will last the test of time. 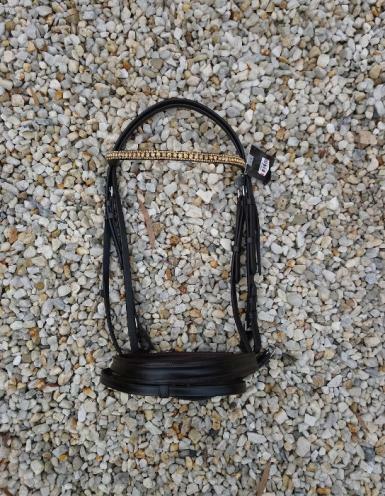 Comes with brown full size hanoverian bridle with gold bling browband.